"If she wants to join Bb. Pilipinas, she has my blessing. I feel she has a strong chance. She should try again. She can do a Pia Wurtzbach." Former Miss World Philippines Chairperson Cory Quirino pushes Miss World 2016 3rd Runner Up Catriona Gray to join Bb. Pilipinas competition. A lot of her fans encourage the 22-year-old model to join 2017's Binibining Pilipinas competition after her lost in the Miss World 2016 pageant in Washington D.C. According to an article of pep.ph, beauty guru Cory Quirino felt bad when she saw Catriona holding tears while holding the Philippine flag at the Miss World stage. 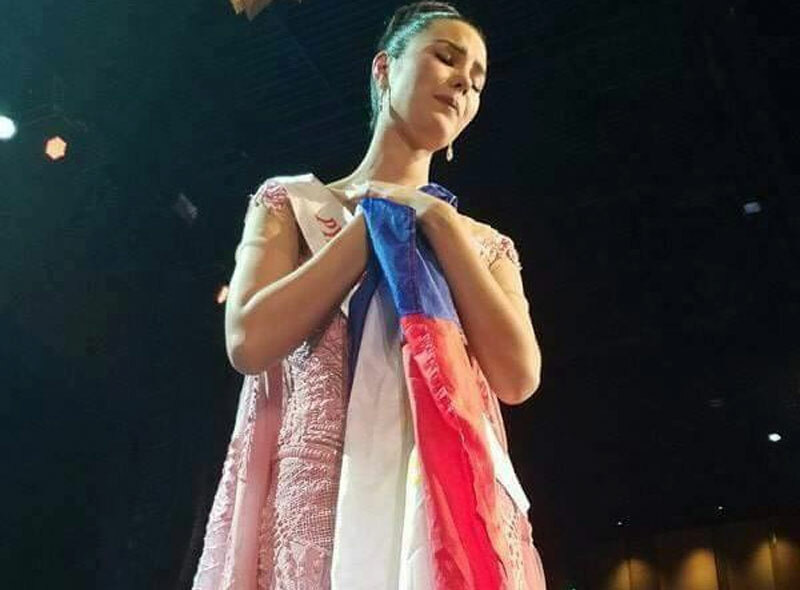 An emotional Catriona Gray hugs the Philippine flag after the Miss World 2016 competition. “If she asks our permission to join, we can release her". added by the grand daughter of former Philippine president Elpidio Quirino. Catriona is still under the management of CQ Global Quest Inc. and Viva Entertainment. Well she has 5 more years to decide if she will join the Binibining Pilipinas or not. Fil-Aussie beauty queen is only 22 years old. But I can sense that she will join next year. And I believe 2018 would be the best year for her to join the biggest national pageant in the country. Gray got what it takes to be the next Miss Universe. She still has a lot of time to prepare in case she does decide to try it out in Binibini. At the time of writing, Catriona is currently in New York with boyfriend Clint Bondad.